How long does it take to get my VPS up and running? 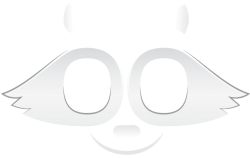 Within 24 hours after your order Rack-oon will make your VPS ready. In the case that not everything is clear with your order we will write you an email and time of delivery can be delayed. How can we reach Rack-oon support desk? You can contact our support by sending an email to support@rack-oon.com . Please make sure you mention the VM info or registered subdomain in your support ticket which you received in the server delivery report after ordering your service. Our technical team is available from Monday until Friday between 9 am and 17 pm, timezone UTC/GMT +1. What payment options does Rack-oon support? What type of discounts does Rack-oon offer? Rack-oon provides 2 types of discounts, a volume discount and a billing discount. -A volume discount is already granted starting from 5 VPSes. Below you can find the discount table. This discount is also applicalbe on other services like managed service, SSL certificates and domain names. -A billing discount can be obtained for longer commitments. If the customer places an order for 1 year instead of 3 months, they will get a 10% discount on top. This discount is already granted for 1 ordered VPS. -Combination of volume and billing discount. Both discounts can be combined. Is it possible to migrate my current server to Rack-oon? A server can be migrated but this is treated as an extra service which is not free. If you want to know the rates please contact us. How many customers can I host on one Odoo VPS? Is there a limit? The VPS is not limited in amount of databases. Therefore you can host several customers on one VPS. On the other hand you must be aware that every database (customer) takes resources from your VPS (CPU/RAM/HD). Please note that every database uses almost 6.000 open files on the VPS. Most other VPS provides limit the open files till 15K. Rack-oon doesn’t have that block installed (and is not planning to install it). Is a management panel available? You can control your VPS from Client Area (start/stop/restart) and you have the access to statistical data and resource usage. What are the fees for a full restore? A restore of a back-up is not a free service. A full restore will take 1 hour by average. So you could state that in normal circumstances 1 full back-up restore per month is included in the managed service. Managed servers have full image and individual file back-up. A full restore will take 1 hour by average. The remaining 45 minutes for the restore will be invoiced seperatly. An unmanaged server does not have individual file back-up. It has a full image back-up. * The included support time per month is not cumulative. The unused amount of time is not transfered to the next month. What is the price of an extra IP address? By default every VPS comes with 1 public IP address. You can get extra IP addresses at a monthly price of € 2. What does Pre-installed and Optimized stand for? Rack-oon installs Odoo, ERPNext, Alfresco, Magento or other software out-of-the box and optimizes it for fast running on the data-center. We do this by optimizing the OS layer for the installed software. It is important to understand that Rack-oon doesn’t touch the code of the software itself. We always install out-of-the-box versions unless customization is requested (not free). Can Rack-oon help me with the customization on the VPS? Rack-oon can help you with the customization on the VPS but this services is not free. If you want to know the rates please contact us. Our strategical partners within the group can help you with Odoo, Alfresco & Magento. Please use the contact form to know more about this service. How often are back-ups made of the VPS? By default we create daily backups during the night period, when the traffic and loads are at the lowest point. All backups are kept on a separate location from other servers. We can take backups more often upon your request, but this option comes with additional costs. How long do you keep backups? What is included in Rack-oon’s Managed VPS Services? This question is handled in a separate page. Click here to open it. Does your datacenter have ISO 27001 certification?